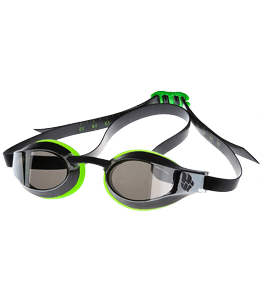 Our CLEAR VISION Fitness Goggles will provide you with maximum comfort and extra-clear vision in the water! The goggles feature advanced Anti-Fog Ultra protection, which will eliminate the need to use any additional gel or spray and enhanced UV 400 coating to protect your eyes from the sun. Also CLEAR VISION Goggles have adjustable automatic silicone strap to ensure a perfect fit. Our FIT Women's Fitness Goggles will provide you with maximum comfort and extra-clear vision in the water! Their wide, extra-soft seal will prevent eye fatigue and reduce marks around the eyes, and the specially designed ergonomic goggle frame will ensure a bespoke fit and the convenience you need! Lenses with anti-fog coating and UV protection. Super, went to the water park, the consultant explained everything with dignity. Did not fly on the roller coaster, do not sweat, sit nice! +The purest vision in the water and out of the water, comfortable, do not get stuck. I recommend!